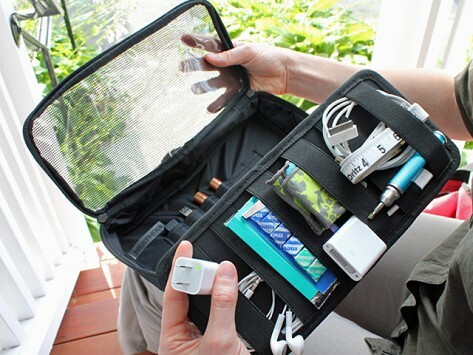 Lightweight, portable carrier for small electronics and the cords and accessories associated with them. The interior board and straps separate earbuds, power cords, adaptors, mice, etc. Dimensions: Small: 5.5" x 7" x 2.5"; 11.5" x 5.5" x 2.5"
Finally a place for all my chargers, cubes & accessories. Everything is easy to find and easy to see. Highly recommend if you travel a lot. I train and travel for work so this has become a standard piece I pack each time I am on the go for work. Smart phones and tablets make it easy to stay in touch and be productive on the go, but the usefulness of tech gadgets is short lived without power cords, adapters and other mobile paraphernalia. To keep track of all these tech extras, we’re packing with Neatnix, whose mission is to solve life’s organizational challenges (the company’s stackable jewelry trays also won us over). 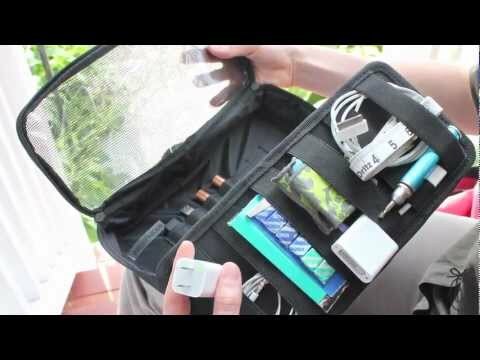 Neatnix Ready 2Go tech organizers are designed to carry small electronics and all the accessories that go along with them—earbuds, computer mice, USB devices, spare batteries and more. The carriers are lightweight and offer a mix of zippered inner pockets and elastic straps that keep cords from getting tangled. The stretchable bands secure all of your accessories on a board, which then fits inside the carrier for extra security. How many times have you dropped earbuds and power cords into a tote bag or backpack and then spent precious time rummaging through all your stuff and detangling them? Ready 2Go tech organizers are an escape from that black hole.